The piano tuner has recently received several enqueries from piano owners in the Leeds and Bradord region requesting a complete piano restringing of an antique piano. Now, if a piano is in a condition where it needs a complete restringing then it will almost certainly need other extensive repairs on the action, pinplock and soundboard. Pianos made before 1950 can be nice to look at, but unlike other instruments such as guitars and violins, pianos unfortunately do not increase in value (or tonal quality) as they age. Even a top tier Bluthner or Bechstein will likely not hold much value today if it was made before 1930, even if it’s in good condition. If you live in the Leeds or Bradford area, then the piano tuner will be willing to tune and tighten the wrest pins for a modest £40. But if you are going down the expensive road of restoring an aged piano, you first need to be aware of the pianos worth. I’m certainly not averse to a partial or complete restoration job, but I need it to be cost effective for the customer before I can start it in good conscience. The price of restringing a piano will be in the range of £1000 to £1200 when taking into account the price of a set of strings and wrest pins plus labour costs – and as I say, it will likely need other extensive repairs to the action and/or the soundboard and pinblock. One can usually tell a pianos age by certain features that date it from a certain peroid. For example, a typical Victorian piano may be adorned with candle holders on a tapestried front panel or it might have quaint London or swan legs on the front of the keyboard. Failing that, a serial number is often found inside the piano, which enables the Leeds piano tuner to identify the exact year of manufacture. Due to a heavy workload, I’ve been unable to update my website properly for the past week or so, including my availability page – sorry about that. Next week I have fewer bookings so I’ll have more time on my hands to make sure everything is up to date. 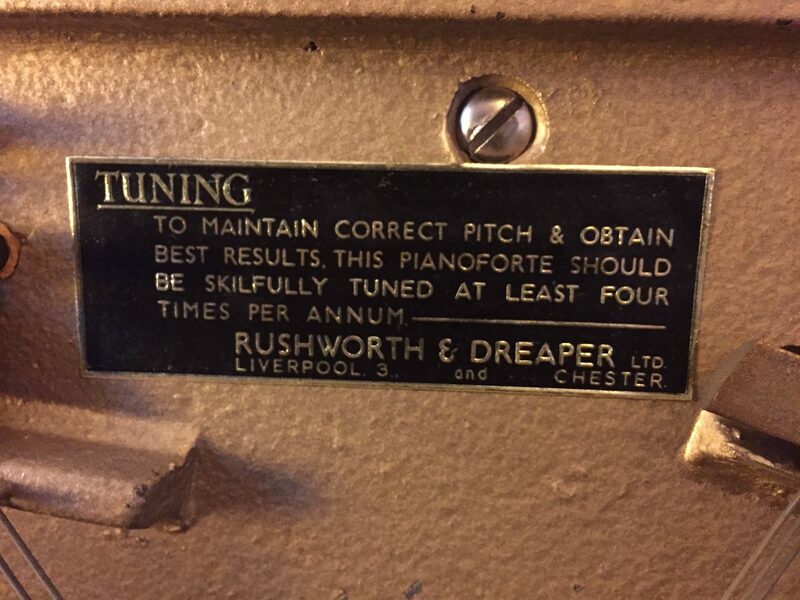 You can also expect another exciting blog post from the Leeds Piano Tuner. Your Leeds piano tuner will celebrating his 30th Birthday on Saturday and will be taking the weekend off to smoke his pipe and watch the Antiques Roadshow. For details of my availability check this page. I may be able to manage the one off piano tuning job in Leeds if you can’t manage any of those hours. Life outside Leeds Piano Tuning… news on the debut album from my band. When I’m not piano tuning in Leeds, I’m playing guitar in the rock band Apostles of Chaos and doing what I can to promote the project. Stylistically it’s retro rock with some progressive elements – no two songs sound the same. We recorded the album at Moorcroft Studios, Cleckheaton quite quickly but I’m pleased with how it turned out. You can pre-order the album at Progressive Gears. It will be released on the 14th of February 2019. Piano Tuner Leeds back on the road…. After Saturday’s traumatic incident/accident, my sister Katherine Lidster has kindly lent me her Volkswagen UP (which I’m insured to drive) for the week, so I can get back to piano tuning in Leeds right away. If you need a piano tuning in Leeds urgently, Sunday during the afternoon or evening would work best, or possibly a day next week – I’m fully booked until Sunday now. I won’t be working as much in the mornings for the next few weeks as I’m dedicating a few hours a day to music and improving my general health and fitness. I’m still shaken up after the car crash – I was a split second away from losing my life, but on the other hand it has given me the desire to live adventurously. Due to unforseen circumstances, my working hours next week will be limited. The best way to find out if I could tune your piano is to email me at richard@pianotunersheffield.co.uk or phone my mobile 07542667040. I won’t be listing my availability on this Piano Tuner Leeds website this week as it will be sporadic and dependent upon your location. This is because on the drive from Sheffield to Leeds today, I happily crashed my car like an idiot causing me to be without a vehicle for the forseeable future. I will be relying on friends and relatives for transport until I’m able to hire a car. 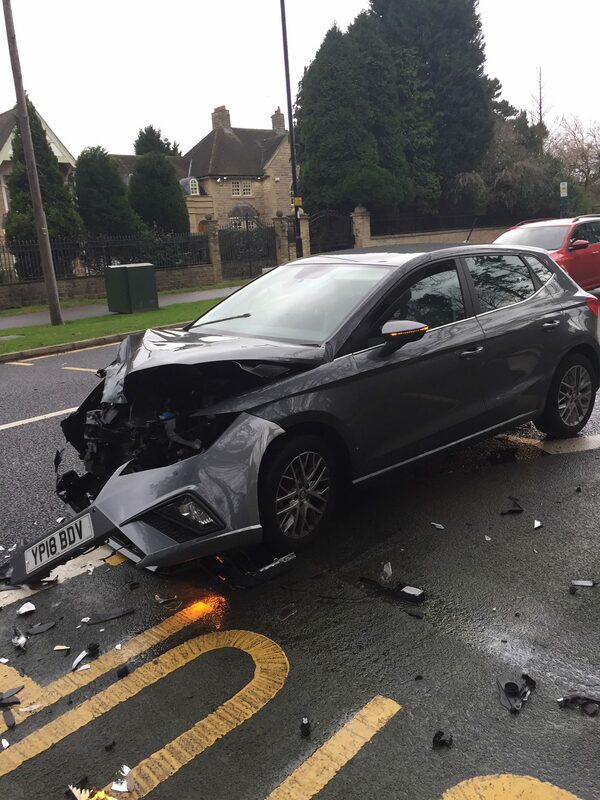 Thankfully no one was hurt, but it’s very annoying – I’d previously kept it in excellent condition and had a lot of fond memories attached to it.